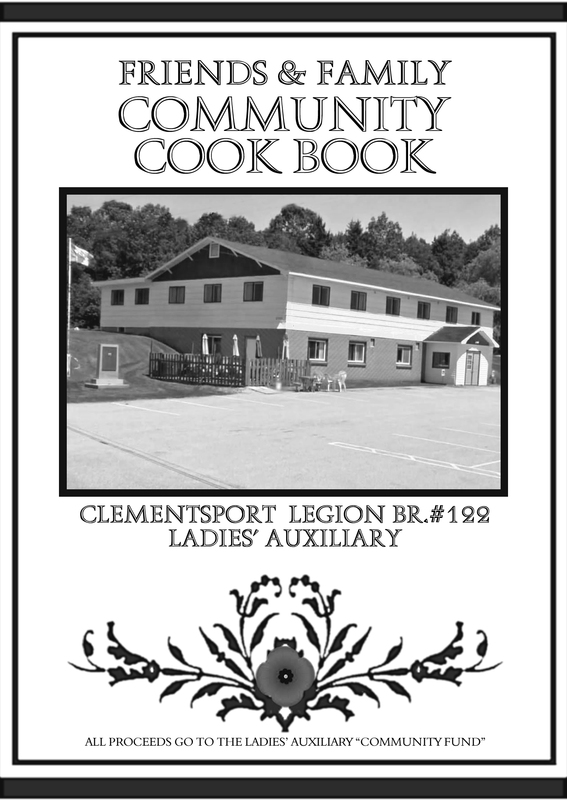 A collection of new innovative recipes and classics passed down through generations by members of the Ladies' Auxiliary, Our Family & Community Friends. All proceeds go to our "Community Fund" to help us continue to help members, families in their time of need & put on activities for the community as a whole. Like our Annual "Family & Friends" Children's Christmas Party. Cook Books are available now, pick yours up locally for $10.00 to avoid shipping costs by contacting Anne at 638-8838 or you can order them online. Preheat oven to 400° F. Grease 8” spring form cake pan. In a bowl, on high speed, beat whipping cream until stiff peaks form. Reduce to low speed; beat in maple syrup just until blended. Chill till ready to serve. In bowl mix all topping ingredients together with pastry blender until crumbly. In a large bowl, whisk egg until frothy, beat in milk, butter & sugar. Mix flour, salt, baking powder & cinnamon together. Stir into wet mixture just until combined. Fold in apples. Pour into pan. Sprinkle topping over batter. Bake 30 - 35 min. or until inserted toothpick comes out clean. Let sit 5 min. Remove from pan & let cool another 5 min. Slice & serve warm with maple cream & ice cream.